Get your kids airborne this school holidays! Flying, dancing and saving the planet is all in a day’s work for Captain Eco and The Green Defender, they’re the heroes in wit incorporated’s new comedy, A Hero’s Guide to Saving the Planet. This July school holidays wit incorporated presents the world premiere of a brand new adventure story for all ages. 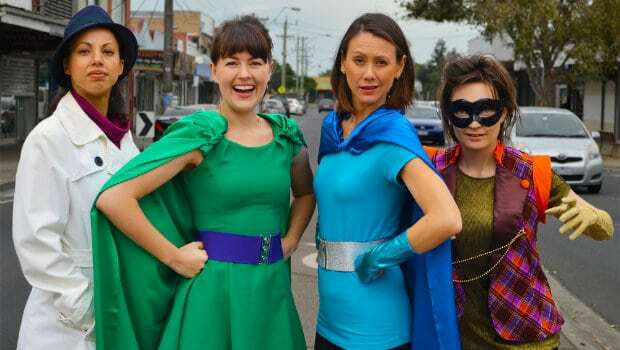 A Hero’s Guide to Saving the Planet plays at Bluestone Church Arts Space from 1 to 15 July. 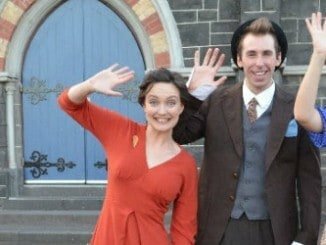 Last year’s Fairy Tale News took Comedy Festival audiences by storm, and wit incorporated is delighted to bring another hilarious script to local audiences. Created by Artistic Director, Belinda Campbell, A Hero’s Guide to Saving the Planet is an environmental superhero story for all ages. It brings all the fun of cartoons and comic books to the stage, with bright colours, silly jokes and sight gags throughout. ‘Our planet is in serious trouble,’ Belinda says. ‘We have to make changes now, for the sake of our children and our planet’s future. These superheroes are here to inspire audiences to change their behaviour, without feeling overwhelmed by the tasks ahead. Q&A Scene : Natasha Broadstock (Director of the play demens).